London & Frankfurt, 22 May 2018 – Hampleton Partners, the international technology M&A advisor, has appointed Mike Woods as Fintech sector principal to increase its expertise and exposure in one of the most active and highly-valued areas of the market. Woods joins Hampleton from his role as CEO of digital payments company Proxama, which merged with Aconite, the software company Woods founded and built into a global payments software solutions business. Backed by Venture Capital and institutional investors, Woods’ leadership at Aconite exposed him to all aspects of a software and services company, including: strategy and planning, marketing, product development and international expansion into the USA and Europe. Woods also chaired the Aconite Board of Directors. 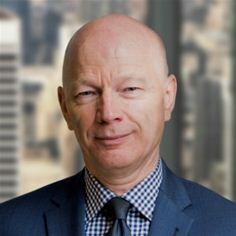 Woods’ early corporate career includes seven years at the Royal Bank of Scotland, where one of his achievements was the formation of a cross-bank business initiative for e-commerce digital transformation and 10 years at Marks & Spencer, where he was responsible for the European Retail Point of Sale rollout to 350 stores. Mike Woods, sector principal, fintech, Hampleton Partners, says: “Having known Miro for more than 15 years and admired what he’s achieved in a short time at Hampleton, I’m excited to be joining this team of hands-on entrepreneurs and tech sector experts to help guide both buyers and sellers to achieve the maximum value out of the M&A process. Woods will head up Hampleton’s regular series of Fintech M&A Reports, events and webinars. The next Hampleton Fintech M&A webinar is on 13 June.